Unfortunately, this season is looking like it might not be as strong as in years past–election years are typically a tough time for retailers. The summer is officially over. Cue the holiday music! Before we all start getting into the spirit, marketers are using this short gap between summer and the onset of the holiday season to prepare their campaigns for the biggest retail opportunities of the year. Unfortunately, this season is looking like it might not be as strong as in years past–election years are typically a tough time for retailers–which is why it’s even more important this year to have a strong social media strategy that will help brands to stand out from the competition. One of the most important elements of a social campaign is the hashtag. Marketers should be identifying catchy and creative hashtags early in the season and owning them throughout the season. Accompanying these hashtags with existing hashtags that are already trending over social media will help build momentum and increase followers. Hashtags should also be incorporated into all paid and organic social media posts. Consistency is very important, as is the relevancy and creativity of the hashtag. Consumers are now accustomed to getting special offers on social media. Creating special offers only for the holiday months and announcing them specifically on social media will help to keep followers engaged, as well as build excitement for a brand or specific product. A critical element for special offers is a sense of urgency that compels consumers to buy products as soon as they see an ad. Examples of such offers are reduced pricing for a set time period or offering coupon codes. New customers are key for brand growth, but marketers should not forget about their most loyal customers. They are brand evangelists and a brand’s biggest asset on social media. A way to engage these customers and make them feel special during the holidays is to create holiday contests–for example, a contest to find the best picture of a consumer using a certain product. Marketers should set up this type of contest by asking consumers to post their pictures along with the campaign hashtag. Awards for winners can include free points, free shipping on a set number of purchases or percentage discounts on future purchases. Another way to engage and give back to a brand’s most loyal customer base is to run referral programs. These programs reward customers who refer their friends and family to specific products. Promoting such programs on social media helps marketers to spread the word and make sure that their most loyal customers are aware of these special incentives. 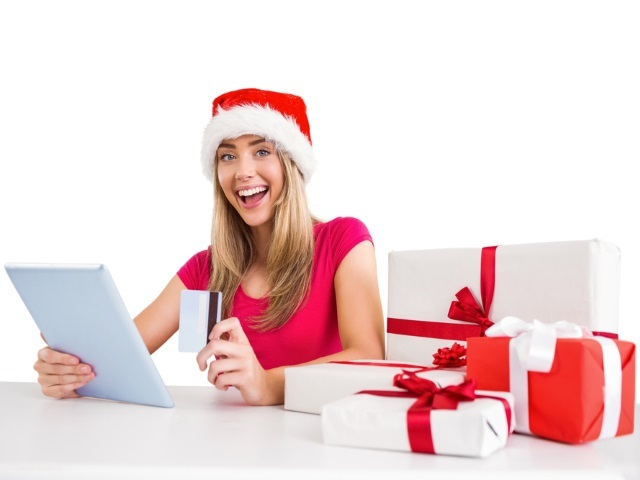 The holidays are a great time to increase subscribers to a brand’s social media account. To further incentivize customers to follow certain brands and products, marketers should extend awards for those who subscribe during the holiday season. These offers should lead consumers to also make purchases. For example, offers such as free ground shipping for subscribers or percentage discounts on future holiday purchases can entice customers to not only subscribe to a social media account, but to also make a holiday purchase. While this holiday season may not outperform last year, we are expecting trends from previous years to carry over, like the increasing use of mobile and local elements in consumer shopping behavior. With consumers using their mobile devices as their primary shopping tools, social media is set to play a critical role in their buying decisions. Marketers taking advantage of these key social strategies during the holiday season will undoubtedly come out on top. Udayan Bose is CEO of digital marketing company NetElixir.